The Adventure of the Noble Bachelor is another case, written by Sir Arthur Conan Doyle, for Sherlock Holmes to solve. Once again, the consulting detective is dealing with the highest echelons of society, just as he had done with the Scandal in Bohemia, with this case dealing with the disappearance of the wife of Lord St Simon. Sir Arthur Conan Doyle would pen the short story that is The Adventure of the Noble Bachelor for the April 1892 of the Strand Magazine; with The Adventure of the Engineer’s Thumb having been published the previous month. 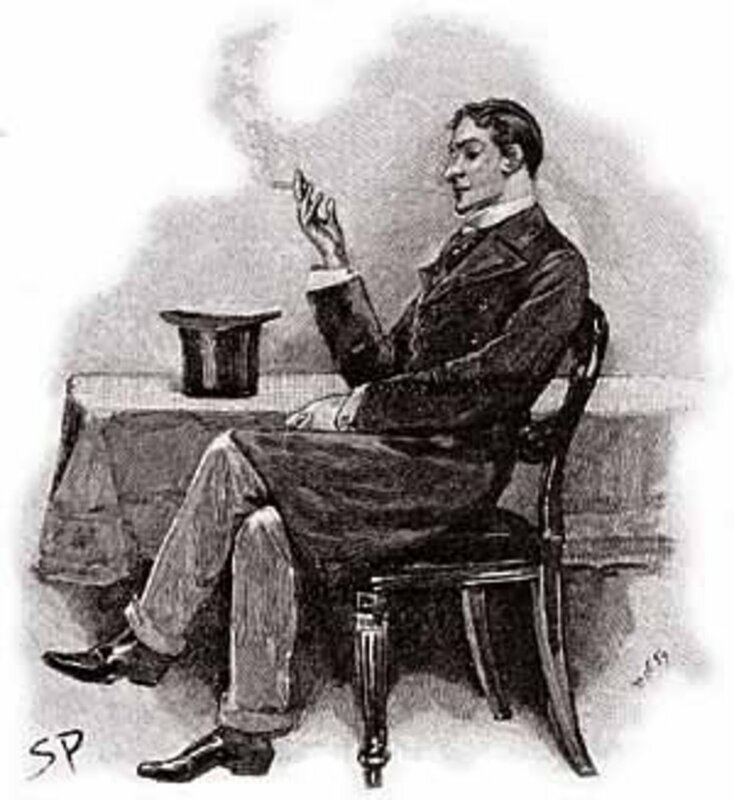 The Adventure of the Noble Bachelor was the tenth short Sherlock Holmes story written by Conan Doyle, and later in the year the first 12 short stories would be combined into the new work, The Adventures of Sherlock Holmes. 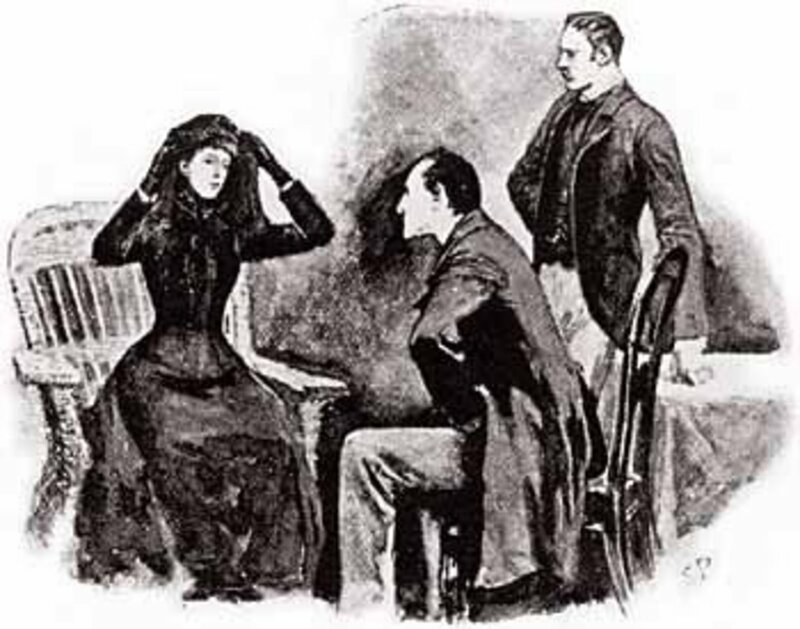 The Adventure of the Noble Bachelor turns out to be one of the easiest cases for Sherlock Holmes to deal with; with the detective having dealt with similar problems in the past. Indeed, Holmes had solved the case even before the client, Lord St Simon, has departed from Baker Street. The basic problem is that Hatty Doran, the new wife of Lord St Simon, has disappeared, and foul play is suspected. Some suspicion is placed on Lord St Simon, as he had a financial motive, but also suspected is an old flame of Lord St Simon, Flora Miller. 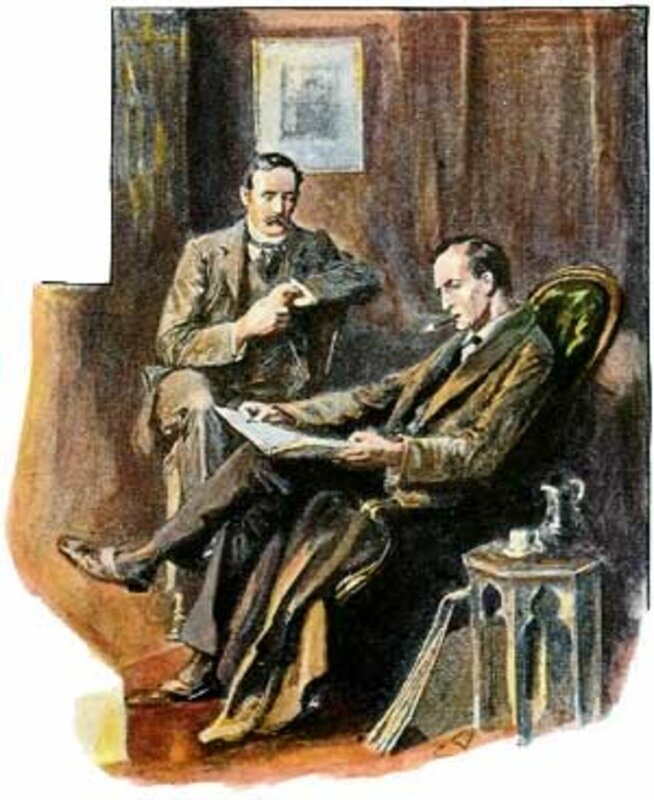 Holmes offers a full explanation to Inspector Lestrade, but just as in the case of The Boscombe Valley Mystery, the detective doesn’t take Holmes seriously, so Holmes feels empowered to deal with the case in the best way he sees fit. 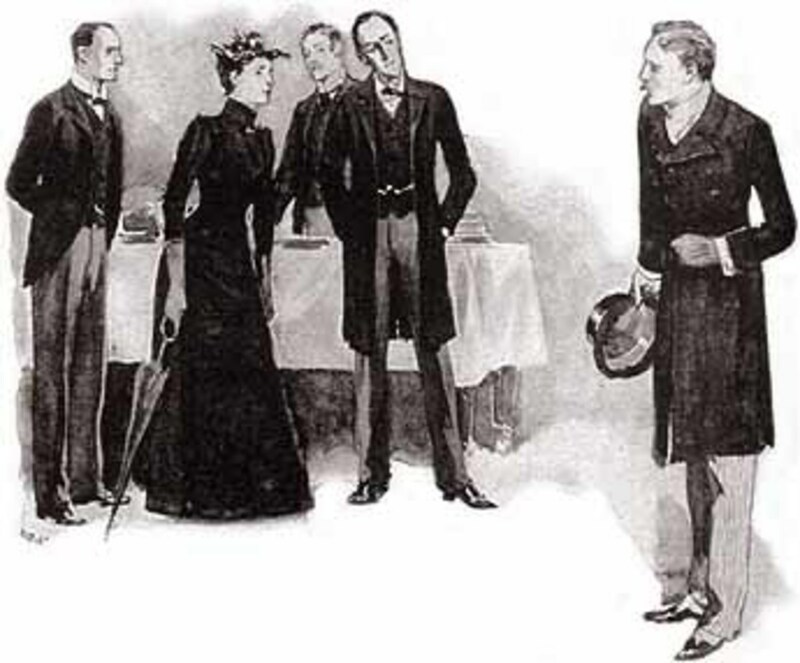 The Adventure of the Noble Bachelor is an example of where a case for Sherlock Holmes doesn’t necessarily mean that there is a crime, and this is perhaps why the story is less memorable than many others within the Conan Doyle canon of works. The story was adapted by Granada Television, with Jeremy Brett starring as Sherlock Holmes. The episode, titled The Eligible Bachelor, made a number of plot changes, something which was strange for the television, which normally kept close to the original storylines. The Adventure of the Noble Bachelor is set in 1887, and is a time when Watson still resides at 221B Baker Street. Watson himself is resting in the rooms, as his old war wound is causing him trouble. Sherlock Holmes has received a letter from Lord St Simon, one of England’s most noted aristocrats, asking the detective for a consultation. 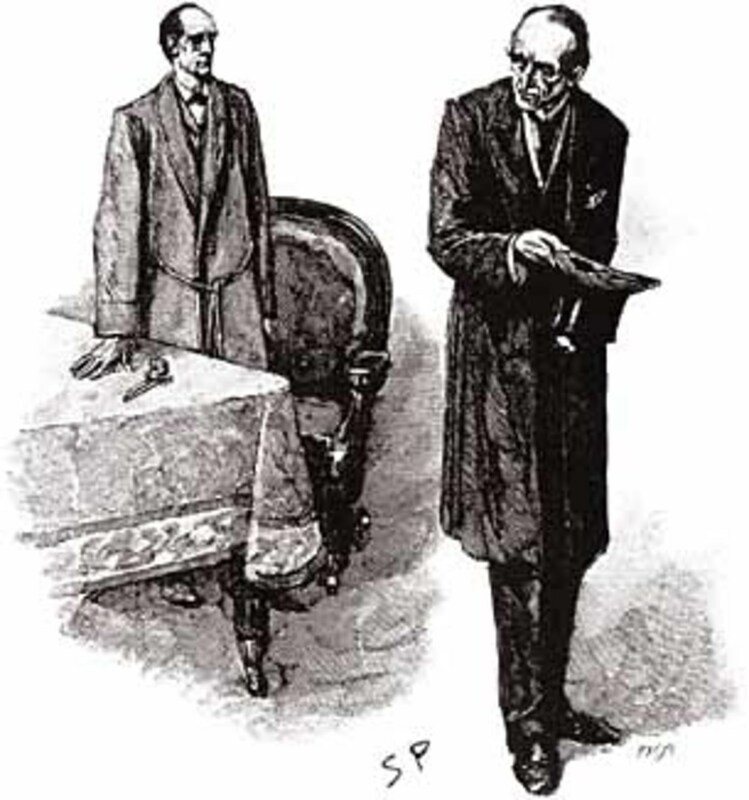 Watson is impressed that such a noted person would ask Holmes for help, but the detective is not interested in the prestige of a client, but rather is interested in the difficulty of the case. Holmes is just as likely to take a case from the poorest person in London, as he is from the richest King in Europe. 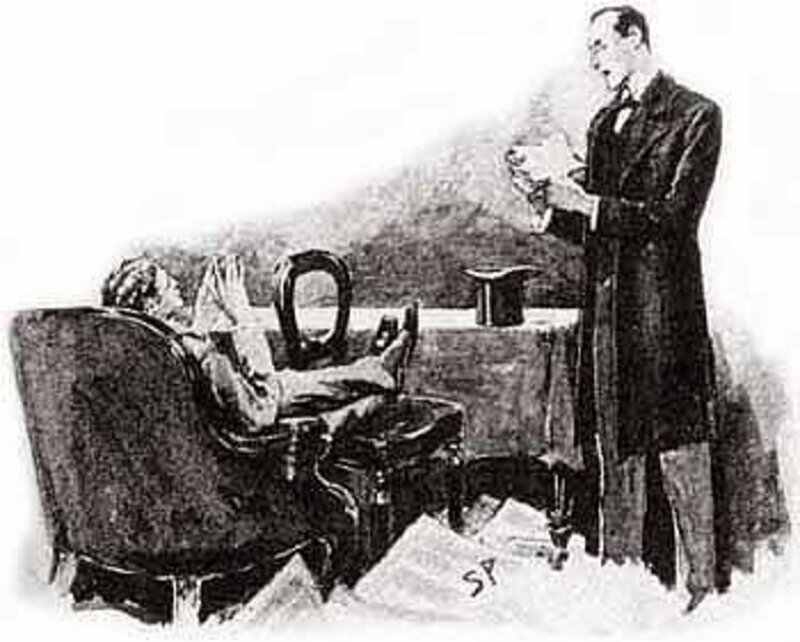 The letter from Lord St Simon asks for a consultation at 4pm, and advises that he has already spoken to Inspector Lestrade, with the Scotland Yard detective having no objection to Holmes being involved in the case. Lord St Simon has been in the news in recent days, and Watson makes use of newspaper clippings to apprise Holmes of the pertinent facts. 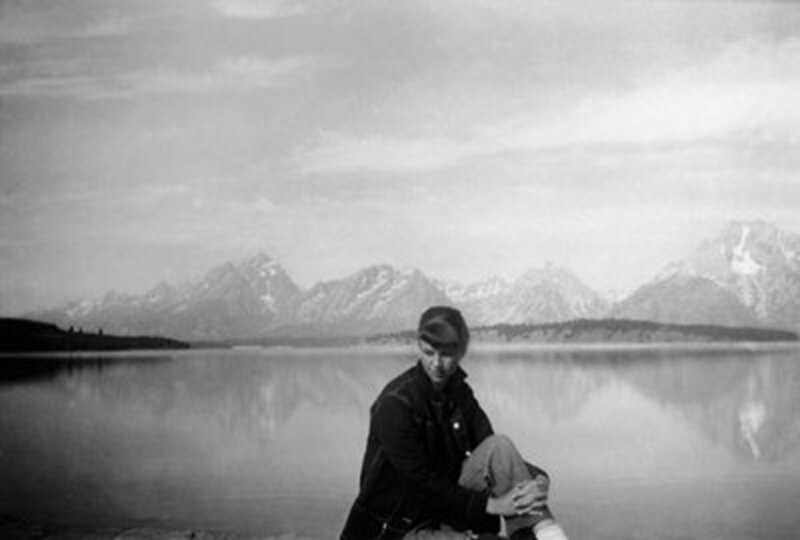 Lord St Simon had just married Hatty Doran, the beautiful daughter of an American mining millionaire. The marriage was destined to bring much needed money into the St Simon family coffers. The wedding of Lord St Simon and Hatty Doran had been a small affair, with only six people present at the ceremony at St George’s Church. The wedding ceremony had seemingly been undertaken with no problem, but at the subsequent wedding breakfast, problems had arisen. Firstly, a woman had tried to gatecrash the event, and then the bride herself had disappeared. The gatecrasher had proven to be a Miss Flora Miller, an old flame of Lord St Simon, and it was she who subsequently been arrested in connection with the disappearance of the bride. Shortly after Watson has finished reprising the newspaper facts, Lord St Simon arrives at Baker Street, and despite being slightly aloof, commences to fill in the gaps in the story. Lord St Simon had met Hatty Doran the year previously in San Francisco, and when the two had met again in London, a marriage between the two had been quickly arranged. It was at Lord St Simon’s suggestion that the wedding ceremony be kept small and private, as he feared that Flora Miller might cause a disturbance. There was little that Lord St Simon could add to the newspaper reports, aside from the fact that during the ceremony Hatty had dropped her bouquet, and that the bouquet had been handed back to a bride by a man whom Lord St Simon did not know. Later, at the wedding breakfast, Hatty had had a conversation with her maid, and then had disappeared without rhyme or reason. The information given by Lord St Simon leaves a lot of unanswered questions, including who the unidentified man was? Was it the same man who was seen in Hyde Park with Hatty Doran? And just how had the wedding dress and ring come to be found by the banks of the Serpentine. Lord St Simon is an obvious suspect in the case, but he comes across as a husband genuinely concerned for his missing wife. To Watson it appears to be a baffling case, but after Lord St Simon leaves, Holmes announces that it is a case that is already solved. At that point Inspector Lestrade arrives, and although the inspector is as stumped as Watson, he does believe he has found a vital clue. Lestrade takes it that the initials tie Flora Miller directly in with the disappearance, and whilst Holmes believes Lestrade has found an important clue, it is for a much different reason. 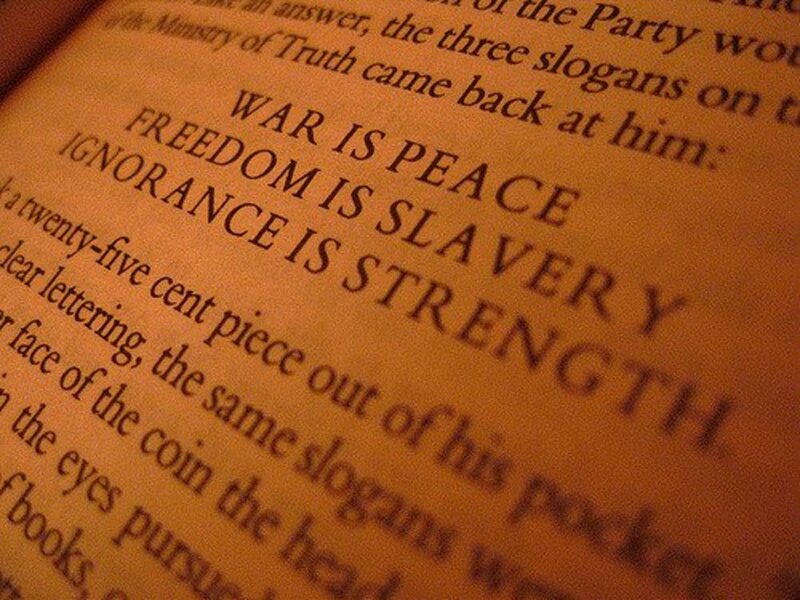 Holmes is not looking at the front of the piece of paper, but rather at the back. 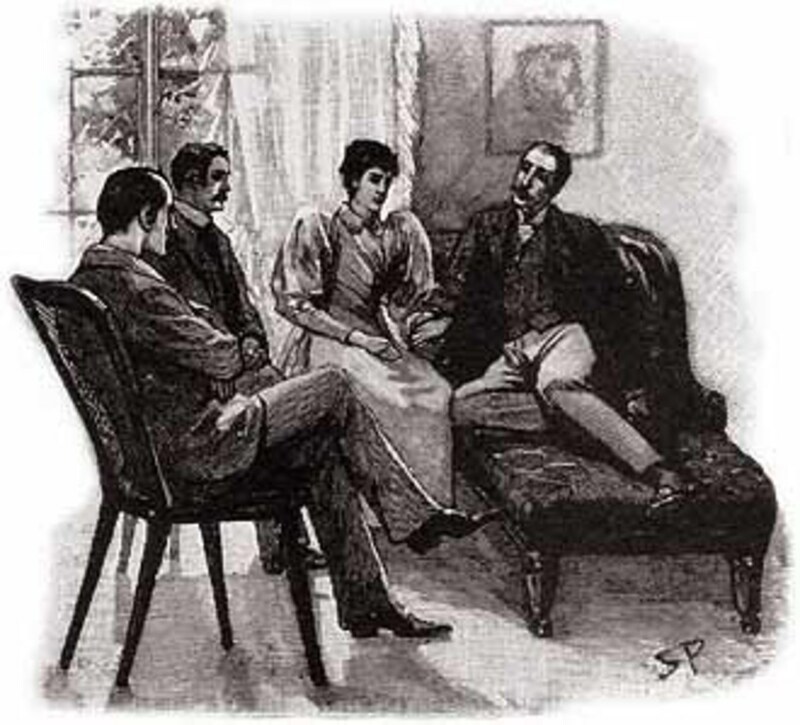 Holmes offers to explain all to Lestrade, but the Scotland Yard detective is inclined to believe Holmes is joking, especially when Holmes states that there was no Lady St Simon. Lestrade leaves Baker Street, and Holmes himself does likewise shortly afterwards; during his absence, Holmes organises a dinner for five to be held at 9pm at Baker Street. Holmes returns home, and shortly afterwards, a crestfallen Lord St Simon also arrives; it seems obvious that Holmes has already given the lord some bad news. A couple, Mr and Mrs Francis Hay Moulton, also arrive; the initials are now blindingly obvious, as is the fact that Mrs Moulton is in fact Hatty Doran. Holmes had managed to trace the couple to their hotel, simply by looking at the hotel receipt on which Lestrade’s message had been written; Holmes enquiring at the hotel for an American couple. Hatty Moutlon, nee Doran, seeks to explain the situation to an angry Lord St Simon. 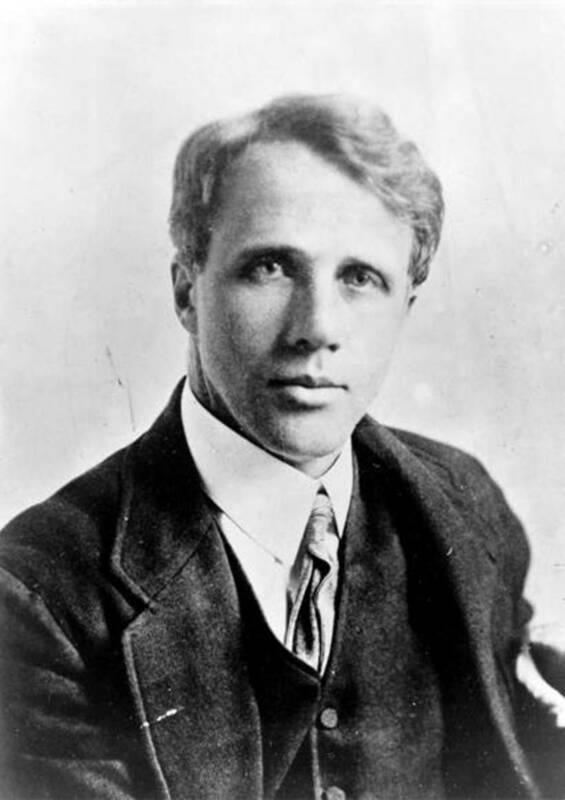 Three years earlier, Hatty Doran had met Francis Moutlon, when Hatty’s father had been searching for gold, and the pair had become engaged. 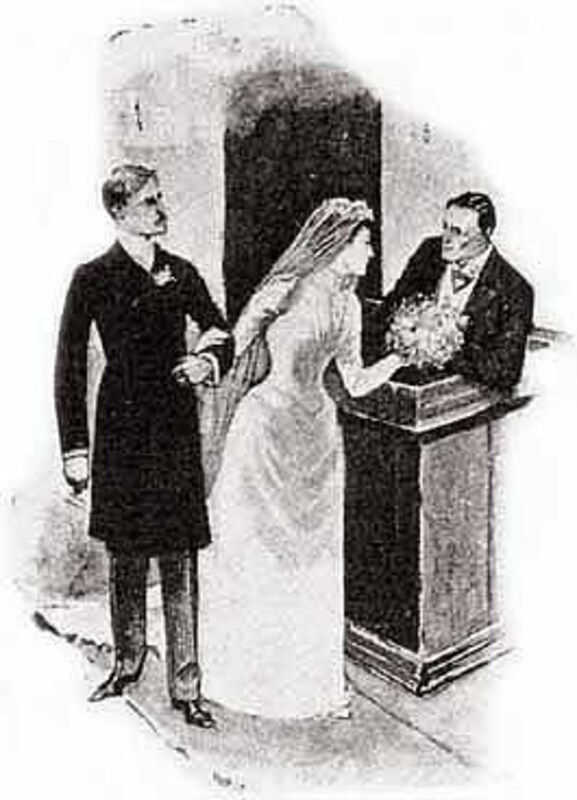 When Hatty’s father struck it rich, he had insisted that the engagement be broken, but the pair had disobeyed the wishes, and had secretly got married. Franics Moulton had then set off to seek his own fortune, but his camp had been attacked by Apaches, and the report came back to Hatty that her husband had been killed. Hatty had of course been devastated by the news, but to please her father, had agreed to the subsequent engagement to Lord St Simon. Hatty’s world though, had been turned upside down once again, when her presumed dead husband turned up at the next wedding. Hatty had left the wedding breakfast to meet with Francis Moulton, and Francis had explained his capture and subsequent escape from the Apaches. Initially, the plan was for the pair to leave England for Paris, and although Francis Moulton wished to explain everything to Lord St Simon, Hatty had convinced him not to. Holmes of course had found the pair at their hotel, and it was the detective who convinced them that Lord St Simon was deserving of a proper explanation. The explanation, and apology from the Moulton, does little to soothe Lord St Simon, who believes he has been wronged; and of course, the lord has not only lost a beautiful wife, he has also lost the money she would have brought with her.